The Shipping Workstation Interface is an optional module that allows you to quickly integrate your shipping workstation (i.e. 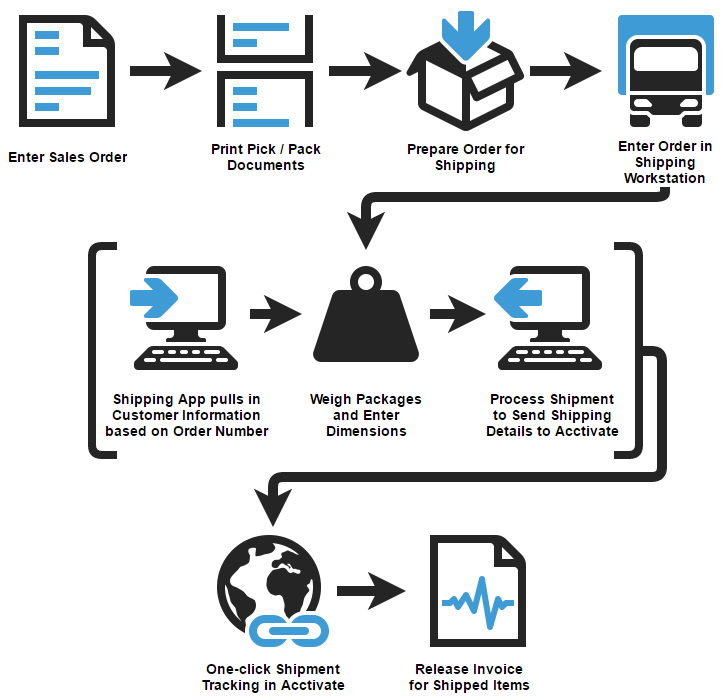 your shipping software from FedEx or UPS) into Acctivate. This will provide you with the ability to quickly track shipments online, without having to type in a long tracking number, see when the order shipped, the number of packages and the weights of each package.